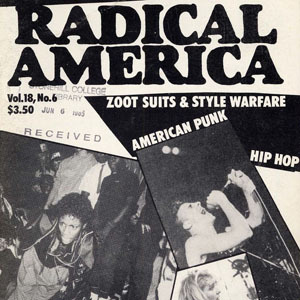 A digital edition of Radical America, a product of the campus-based New Left of the late 1960s, specifically the Students for a Democratic Society (SDS), but the magazine long outlived its seedbed. Its trajectory illustrates the effort to place an intellectual stamp on the radical impulses of the late twentieth century. A Black & Red translation, unauthorized.